Color of Thunder recently had the pleasure of designing a new website for an emerging Los Angeles-based playgroup for children ages 18 to 36 months. Sacred Garden Playgroup was founded by Sarah Kramer who has been working in Early Childhood Education and Development for more than two decades, both as a preschool teacher and as a private childcare provider. 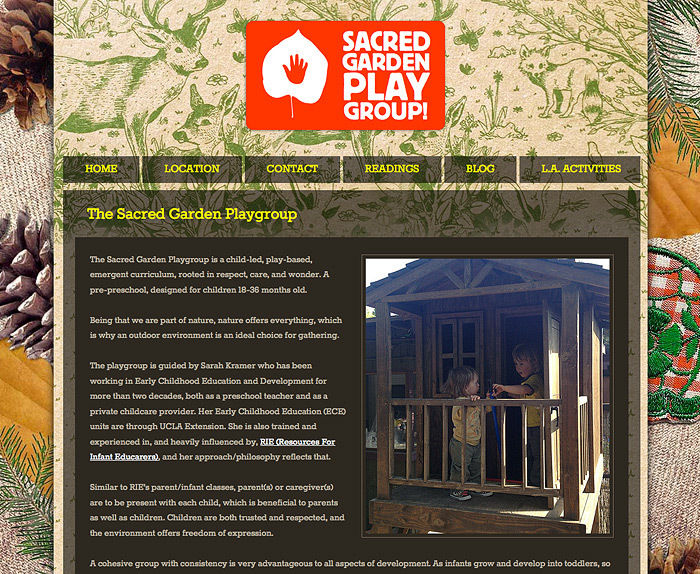 The Sacred Garden Playgroup website.